I talked with a real estate agent friend the other day and basically heard the story of how – for the second time now – she had lost a listing because of what happened when the home stager went to the property. (Different home stager each time, so I’m just saying – this is not the stuff of urban legend, it happens more than people might think.) How ironic is it that an earnest attempt to provide more value to a real estate client ends up alienating them instead? Here are some thoughts on how to prevent this from happening. First, to be clear: I’m not knocking home stagers, many of whom do an excellent job and are very careful to handle clients in a way that does not offend. Also, as an agent who has staged many homes myself prior to listing them, I understand that anyone can make these types of mistakes. It’s something I try to be really conscious of when I’m talking with homeowners, and while I’m not saying I’ve never said the wrong thing, I sure do focus on choosing my words carefully every time I open my mouth. So with that in mind, here we go. 1. 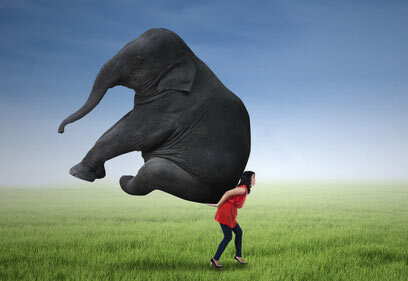 Don’t overwhelm the client. The crucial thing to know going into that evaluation was this: “What kind of buyer is the most likely target market for this home?” In other words, what is the game plan? Realistically, the home either needed to be a) completely updated and sold as a finished product, or b) sold in its current state as an opportunity for someone to come in and make their own remodel choices. There was no benefit in taking a middle road and the owner had no intention of doing the remodeling, so the goal was therefore to target a buyer who saw the potential and was willing to take it on as a project. Since the goal of staging is to showcase what you’re selling, the first question to ask is always, “Hey… what are we selling?” This sounds so simple, but answering this question incorrectly (or never asking it in the first place) is one of the biggest home staging mistakes I see. Of course if the question you think you’re answering is “Money being no object, how do we make this home as desirable as possible to the general public?” then the laundry list given by the stager is correct, seeing as people like new and updated homes. Unfortunately, the home stager was answering the wrong question, and as a result completely overwhelmed the homeowner, who after wandering half-heartedly into a carpet store to check out new carpet colors called my friend and told her very nicely that she just wasn’t up to doing what it would take – and she had decided to list with someone who would sell the house as-is. Ouch! A completely needless loss of a listing – and, in this case, it cost my friend at least $15,000 on the listing side. Now in all fairness, it’s reasonable to say that my friend, if she had thought it out more, would have been better off brainstorming with the stager first so that they were on the same page regarding the goals of the sale and the best game plan. I also think it’s fair to expect a stager to know how important it is to have this information prior to meeting with the homeowner, and for them to make sure they get it even if the agent doesn’t actively volunteer it. 2. Be involved in the staging consultation. Don’t set your clients loose in the carpet and paint stores searching for the right colors – talk about overwhelming, and a bad use of their time! 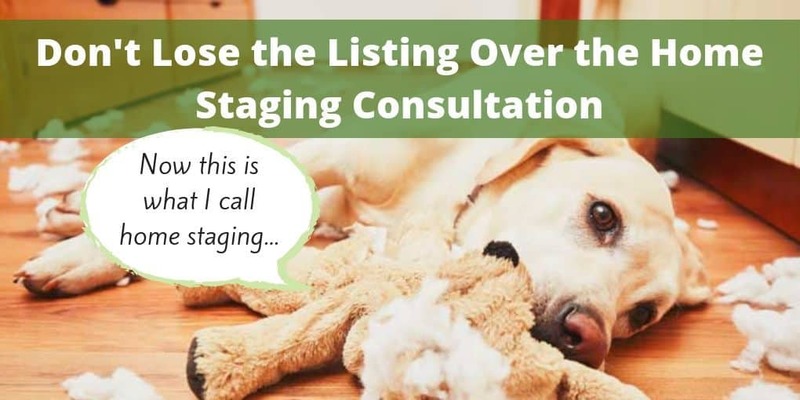 Mike and I have staged a lot of homes together (not as home stagers but as listing agents) and homeowners find it incredibly helpful to have a “done for you” solution at their fingertips. This means we have a few different carpet colors that we specifically recommend, a carpet supplier that offers really good pricing (lower or equal price compared to Home Depot, but a step up in quality), and two interior paint colors that work extremely well for most homes. Be the person with the good resource list that includes a reliable painter, landscaper, handyman contractor, plumber, gutter and window cleaner, etc. * This makes you incredibly valuable to the would-be seller who has some work to do on their property prior to putting it on the market. Depending on your relationship with the seller and how committed they are to you, consider also being the person who makes the calls and arranges the appointments. (This is definitely a “case by case” situation, seeing as your good will could be abused by the wrong person.) Once Mike and I have a listing agreement signed we actually find it easier to take over a lot of these things, and yes, we do pay for some of them – in addition to the staging and photography, which as a rule we always cover. Here are those paint colors we like: Kilim Beige and Softer Tan by Sherwin Williams. Kilim Beige has a tiny bit more red in the mix and in general I like that one the best because of the slightly warmer tone. Softer Tan works very well when you have to coordinate walls with blue or grey carpets. Both of these paint colors can be ordered in half or three-quarter shades if you need them a bit lighter. Also, be aware of what sheen you choose – we usually use Eggshell for rooms like the living room and bedrooms, and Satin or Semi-Gloss for kitchens and bathrooms. * Regarding the resource list, for liability reasons it’s a good idea to include a written caveat explaining that you recommend the best people you know, but can’t be held responsible for their performance. Here in Washington state we typically include this in small, easily legible font at the bottom of all of our resource lists. I agree on involving yourself in the staging consultation so you can also give some ideas or prevent mistakes. Awesome blog. Thanks for sharing.